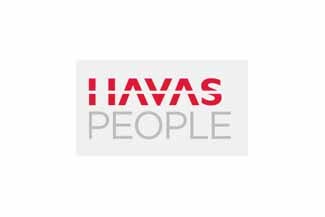 Euro RSCG Worldwide is rebranding as Havas Worldwide, with its division covering events now known as Havas People. Havas People encompasses the communications side of the business, formerly known as Euro RSCG People. The Euro RSCG People division was launched in March this year, as an integration of events business Euro RSCG Skybridge, advertising recruitment agency Euro RSCG Riley and market research arm Euro RSCG Heist. Havas People chief executive Rupert Grose said: "Having brought together three complementary businesses to form Euro RSCG People earlier this year, the move to Havas People consolidates and completes our journey. Our integrated proposition is already gaining huge momentum in our key markets and we expect this now to go from strength to strength." For the events division of Havas People, which has a four-strong dedicated events management team working for clients including Land Rover, Ford, Scottish Life and the UK government, the benefits will be greater global resources, said head of events Lori Stahl. "We have always been pleased to be able to offer truly global solutions for our clients, and with the addition of even more diverse agencies into the network, we can deliver an even stronger offering that integrates all forms of media into any global events strategy," said Stahl. Stahl added that having a "reliable resource to tap into and work with, whether getting something unusual accomplished or having extra assistance for events", would prove useful. "Havas is such a strong brand presence in this arena," she said. "It is really a matter of going from one strong brand to another strong brand." Havas Worldwide now has 316 offices in 75 countries, with Havas People headquartered in the UK. Havas global chief executive David Jones said: "We are the only communications group with a unibrand structure and approach which makes life easier for our clients."